Shawn Elliott services the North Shore Gold Coast of Long Island. Looking to list or buy a home in Brookville, Upper Brookville, Old Brookville, Woodbury, Old Westbury, Oyster Bay Cove, Muttontown, Centre Island, Cold Spring Harbor, Lattingtown, Laurel Hollow, Syosset, Roslyn or more? Shawn Elliott also services buyers and sellers in NYC, The Hamptons, Miami, Palm Beach, Beverly Hills, Bel Air and Malibu. Shawn Elliott has turned the failures of other companies into his successes. While other companies failed to sell their clients' Luxury Homes, he stepped in and sold them at the highest price in the shortest amount of time. Similar to his eponymous real estate firm, Shawn Elliott began his career from unconventional roots. A native New Yorker armed with a marketing degree from the University of Miami, Shawn spent 20 years in retail growing the United Colors of Benetton business. It wasn’t until 2002 that he combined his knack for discovering market niches with his passion for beautiful homes by joining Douglas Elliman as a licensed real estate agent. For twelve months, Shawn shined as their top-producing agent – focusing mainly on luxury homes in the North Shore of Long Island’s Gold Coast. He quickly realized that the real estate process had become antiquated and that there was a smarter, more market-savvy way of servicing clients. At the end of 2002, Shawn opened the doors of Shawn Elliott Luxury Homes & Estates. Within one year, he was the number one real estate company in Woodbury, NY and today, with over 100 agents and offices in NY and Florida, Shawn secures more than 50% of high-end market homes in Long Island. His clients range from Emmy Award to Heisman Trophy winners such as Alicia Keys, Billy Joel and Chad Pennington and across the globe to Russia, South America, India and Asia. A frequent traveler to China, Shawn caters to Chinese clientele seeking a beautiful home on Long Island’s North Shore and has been a member of Asian Real Estate Association of America (AREAA) since 2007. In 2012 Long Island Business News awarded Shawn Elliott Luxury Homes & Estates Long Island’s #1 Residential Real Estate Office of the Year and in 2013, Shawn was recognized as a Sterling member of Real Estate Policy and Advocates (RPAC). 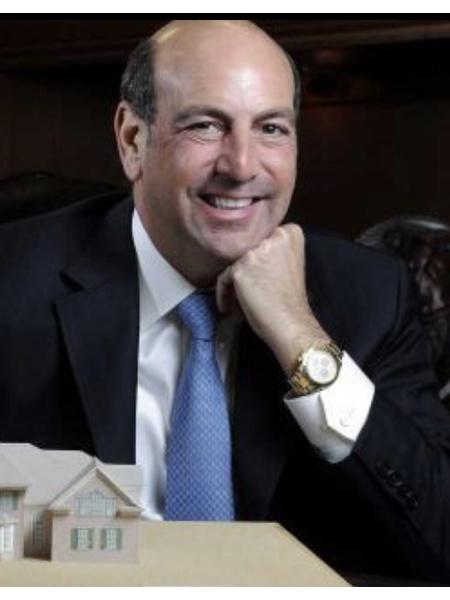 NEW YORK—Nest Seekers International, a full-service residential and commercial luxury real estate brokerage firm,today announced that Shawn Elliott Luxury Homes and Estates, a Long Island-based full-service real estate firm has joined its ranks. The boutique firm, founded in 2002 by Shawn Elliott, services Long Island’s most prestigious communities spread between areas of Old Westbury, Brookville, Oyster Bay Cove, Roslyn and more. Now, 15 years later, Elliott’s team, along with millions of dollars of listings and projects, is joining forces with Nest Seekers. “I’m excited that my elite team is coming together with the Nest Seekers family,” said Elliott. “We can only do so much in Long Island when our clients are worldwide. Our business has expanded, and we needed to be part of an organization that has a global presence. Now, we can service our clients in New York City, the Hamptons, South Florida, the West Coast and Europe, and it’s amazing. Nest Seekers gives us greater resources andtechnology to operate and connect between these markets,” said Elliott. Until now, Elliott and his team worked out of their flagshipoffice in Brookville, Long Island. In his new role, Elliott will expand Nest Seekers’ Ultra-Luxury Division, overseeing high-end listings in multiple markets. “The Gold Cost is a critical point between New York City and the Hamptons. It’s a missing piece that completes a regional picture for us.” said Eddie Shapiro, CEO of Nest Seekers. “We plan to open more offices in the area. Smart, successful agents and firms have realized that they have to think like global fashion brands and investment banks. It’s not about being the biggest in one region anymore. Our message is that we have global brokers who serve local markets. Shawn and his team will do that with us,” he added. Shapiro emphasizes the importance of seeking multi-faceted talent for the firm. “Shawn understands the vision of our company. We aspire to on-board diverse,, like-minded individuals that understand marketing and branding, speak multiple languages and are licensed in several states, and Shawn fits the bill. We encourage our team to move between markets. That’s the future of the modern agent,” said Shapiro. While Shawn operates primarily out of the East Coast, he currently serves at the Chief Marketing Director for 924 Bel Air Rd, the most expensive home in the U.S. listed for $250M. Shawn has appeared on CNBC’s “Secret Lives of the Super Rich,” CBS’s “Living Large,” NBC New York’s “Open House” and more. He is a fully licensed broker in New York, California and Florida. Shawn’s son, Zach Elliott, has worked closely with his father for years and will lead business development and marketing efforts in 2018. “My role is to engage and on-board a younger generation of real estate stars, and use cutting-edge technology such as drones and virtual reality to disrupt the marketplace,” said Zach. Nest Seekers International is a game-changing firm in the rapidly expanding global real estate marketplace. The firm’s hybrid tech-enabled service model has inspired a new way of thinking in the industry, and its approach to daring and unconventional marketing has elevated and revolutionized the way people think of real estate. Nest Seekers International continues to expand with 20 offices and more than 900 team members and around the globe. Based in Manhattan, Brooklyn, Long Island City, The Hamptons, New Jersey, Miami, Beverly Hills and London, Nest Seekers International has emerged as a leading global real estate firm. Beverly Hills Post Office | B.H.P.O.